The Middle East is currently in the beginning of a grand regional realignment, one so vast it is sending shock waves slowly altering the post-Cold War alliance system. As the Syrian Civil War winds down, a new phase in the conflict will give rise to great power competition. Syria will be the focal point where powers will compete for political and economic influence in the remaking of the Middle East. With the United States and Turkey on one side and Iran and Russia on the other, each have been playing a delicate balance act between winning the tactical goal of wiping out the Islamic State and determining the political usefulness of keeping Bashar al Assad in power. Although they have forged military alliances when needed for political expediency in defeating the Islamic State, the lack of a common enemy will duly expose the seriousness of their diverging political goals. As Turkey waivers in its commitment to follow a Western-led order in the Middle East, Ankara will seek to build regional supremacy, starting in its own backyard. Iran will bump up against Turkish interests as Tehran seeks to maintain military bases in Syria, which would broaden its political influence into the Mediterranean. Russia is likely to be looking for a military exit while still being able to maintain political influence in the region. Moscow has been aesthetically, and somewhat politically successful, in diplomatically sidelining the United States in leading Syrian peace talks through the Astana Peace Talks with both Turkey and Iran. The Syrian Civil War has become the epicenter of geopolitical turmoil, one where nations have forged together to challenge America’s vast military enterprise in the Middle East, and one where Russia has temporarily succeeded in upending America’s military and diplomatic preeminence in aligning Middle Eastern nations to its interests. With the United States foreign policy in disarray, Washington is seeking not to extract itself from the Middle East, but to dispel military adventurism where unnecessary. History shows that violence will be used when war fighting is not regulated by codes of conduct that pacify bellicose actors. Remember, the European continent has a centuries-long history of war, political realignments, and regional restructuring. A Western institution like the United Nations was not created in a vacuum, but through the birth of Enlightenment ideals and the need to systematize legal codes to deter the scourge of war. Europe’s experiment with codifying the norms of peacemaking helped to shape how those ideals are institutionalized in new political systems (like democracy). Populist revolutions rarely follow a precise formula for a smooth transition out of authoritarianism and into democracy. Street protests are a tool for echoing the sentiment of the masses and one ingredient in what causes paradigm shifts in political institutions. Although there is a genuine desire within sectors of Arab society to engage in democracy, popular will alone is not strong enough to dispel the socio-political-military machinery of autocratic dictatorships and their fight against the democratically more popular Islamist groups. Democratic institutions take a long time to develop and cannot be birthed by the voiding of governing bodies. Thus, the action of toppling a dictator is a building block for political change but not necessarily for institutional change within the existing state. The development of democracy can occur when the environment is conducive for the growth of civil society movements that work together with the government in order to help secure economic privileges. This helps foster the linkage between state and society, where people can start to define how democracy (as understood as liberty) can be implemented. 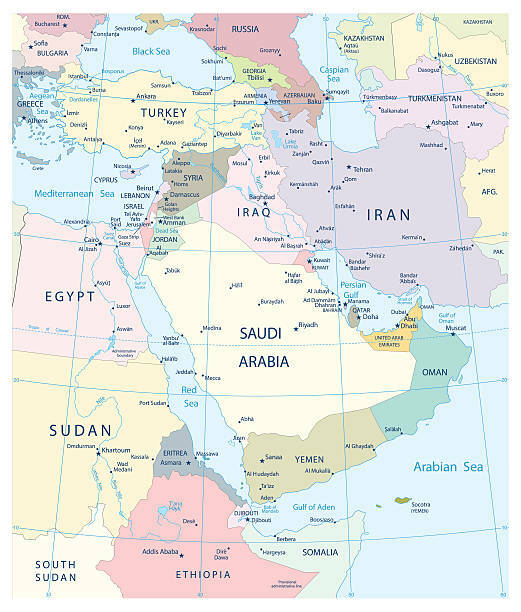 After World War I and II, European power politics were played out using the Middle East as a proxy in order to gain economic and geopolitical power. The French and British were the most entrenched in shaping the politics of the region and have a long history of propping up puppet regimes in countries like Syria, Lebanon, Iraq, and Egypt. In short, monarchs were installed and quickly overthrown by locally powerful military leaders. Concepts such as pluralism and democracy are foreign concepts in Arab/Muslim societies and have only recently been understood by exposure to the Western World. This is not to say that Middle Eastern/Islamic societies have never pondered or explored ideas of freedom or humanitarian rights, as democracy is a system of representation and not a sole guarantee of liberty. There is a long history within the doctrines of Islamic thought that dwell on the rights of man. But doctrine has not caught up with what the West understands as the modern world, and the modern world has not given the Middle East a chance to understand how the Western oriented nation-state fits with Islamic identity. Vienna 1814 helped to establish very important precedent in the diplomatic culture of warring powers. The principles set out in the treaty were essentially used as public law for all European states that signed the agreement. This helped to establish decorum for how agreed upon norms set within the treaty can be used as a foundation for engendering political order on a regional level. This helped to foster a sentiment of collective good will toward agreed upon territorial exchanges and helped to create the customary framework for the free navigation of European rivers. The most important and widely unknown fact about the Congress of Vienna is that it created nascent legal and political norms that helped to legitimize the formation of the United Nations. The treaty attempted to normalize to usage of periodic unions in order to discuss and mollify outstanding issues before they shaped into conflict. Although this tool was mismanaged, it established the design for organizational cooperation. The axis of power has been tilted and is cascading into a hotbed for wider wars on a worldwide scale. These conflicts will continue to be used as strategic geopolitical gains for foreign powers if Middle East actors do not take serious action. Unfortunately, the Middle East does not have a history of collective engagement or a strong history of building state architecture as typified by the West. The modern Middle East is a consortium of different tribes, clans, and ethnicities thrown together under the patchwork of colonial born nation-states. There is no native concept of a nation-state in the politics of the Middle East. There were great empires that ruled over tribal collectives (what we might understand as closer to the ancient city-state). Powerful ancient empires like Iran and Turkey are the more stable actors in the region due to a long history of fighting for political borders that helped to foster concrete terms for cultural/ethnic identity. Arabs remained politically decentralized within tribal conclaves and never asserted a state-centered pan-Arab framework. Pan-Arabism was only experimented in the colonial soaked 20th Century and was used by military dictatorships to assert tyranny. Today, Islam is in a transformative state akin to a reformation. It is one man’s political Islam vs. political Islam, and yes, the competing strands are quite radical. Arab power politics will continue to shape the boundaries of Islamic doctrine and the degree to which it defines the role of a new Arab state system. This is why major players in the Middle East must come together and figure out how a new state architecture can emerge to bridge the gap between radical and moderate forces within Islam. Failure to define a system of sovereignty for the Middle East will mean that the ghost of the Islamic State will win the inheritance of post-revolutionary Islam. The Middle East will be in jeopardy of being a victim of 21st Century politics and losing out on economic development. The 21st Century will be defined by the further development of globalization and economic integration. Supranational entities in the form of financial (and not political) institutions will shape multilateral power in the coming decades. Today, the Middle East may be contracting inward but it would be in the interest of regional actors to start looking outward towards multilateral diplomacy for a path to the future. Woah, this is really good. You basically just said the problem that “major powers (need) to figure out how to construct a conciliary environment for large-scale talks”. If they just talked, they’d be able to work a lot more things out, right? I like this- I’m following you! ← How Did Israel Get The West Bank And Is It Really An Illegal Occupation?